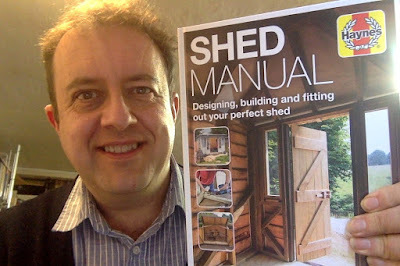 The first copies of Shed Manual which I've co-authored with John Coupe for Haynes arrived this morning (didn't open them immediately as I thought they might be a birthday present for me tomorrow!). They look excellent. Haynes have done a great job all the way through and I like the white border around the cover in particular. Happy reading!